Hey guys! I've got a brand new pattern today for you guys and even made a video for it! 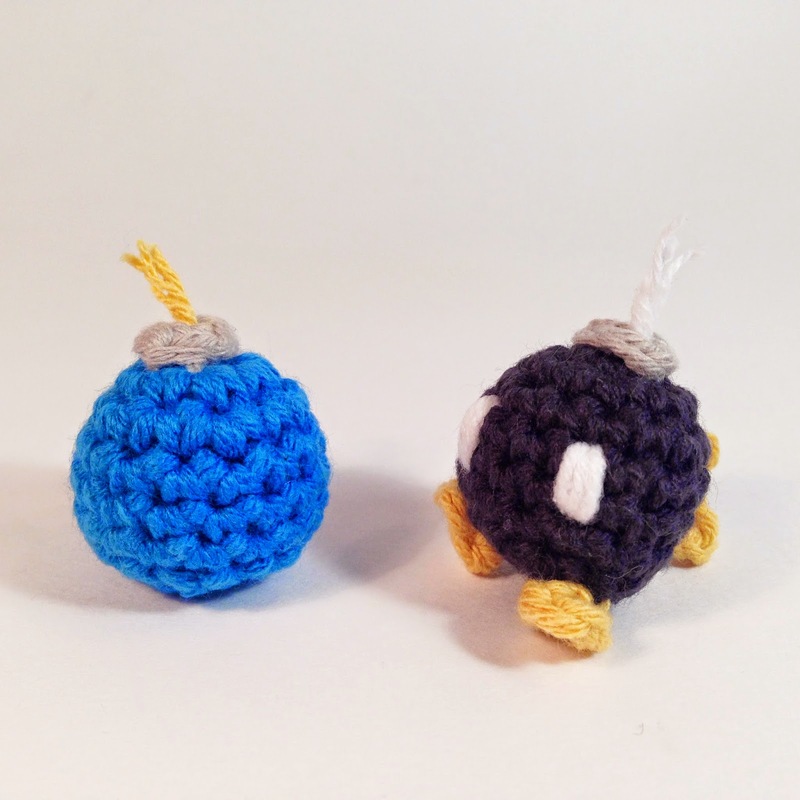 I also added these little Bob-omb's and Bombs to the Etsy store today so check them out there! Also there's a new pattern up for Mario, Luigi, Wario, and Waluigi up there too for only 2.99!! 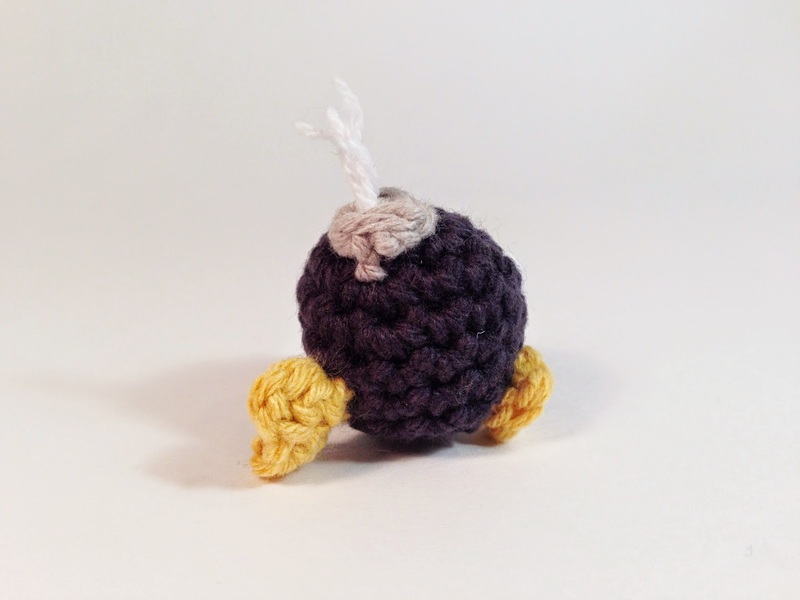 Cut and pull through leaving a long end to sew onto the top of the bomb. I know this part seems confusing, but basically you're just making a tiny oval by working sc's and sl.st's on one side of a ch, then turning the piece upside-down and working into the back side of the same ch's. Cut leaving a somewhat long end for sewing onto the piece. Cut and pull through leaving a somewhat long end again for sewing onto the backside of the bob-omb. Make the wick here (see video above). Sew on eyes here. See this video for instructions on how to sew on eyes. Sew on the Feet here. Finish off by stuffing your piece and sewing together the bottom. See this video for instructions on how to finish off. Done! 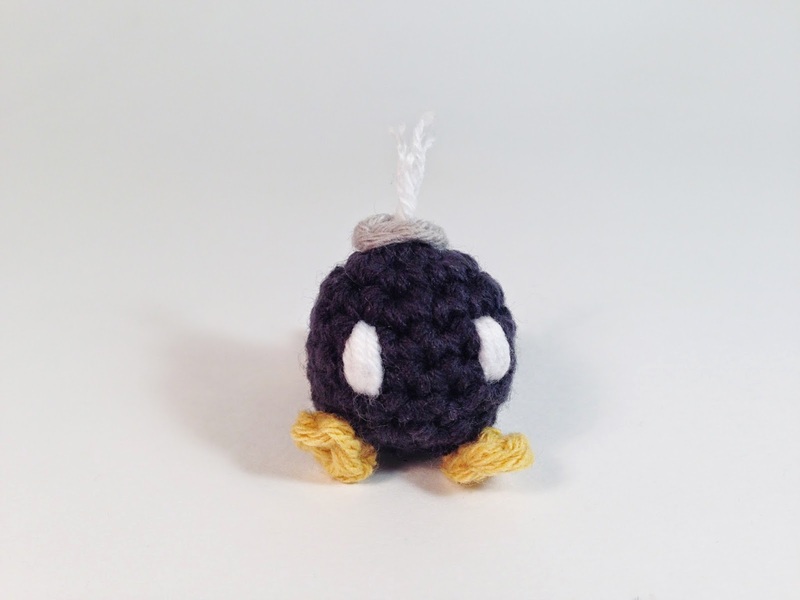 Now you have your very own miniature Bob-omb! Don't cause too much havoc with him. 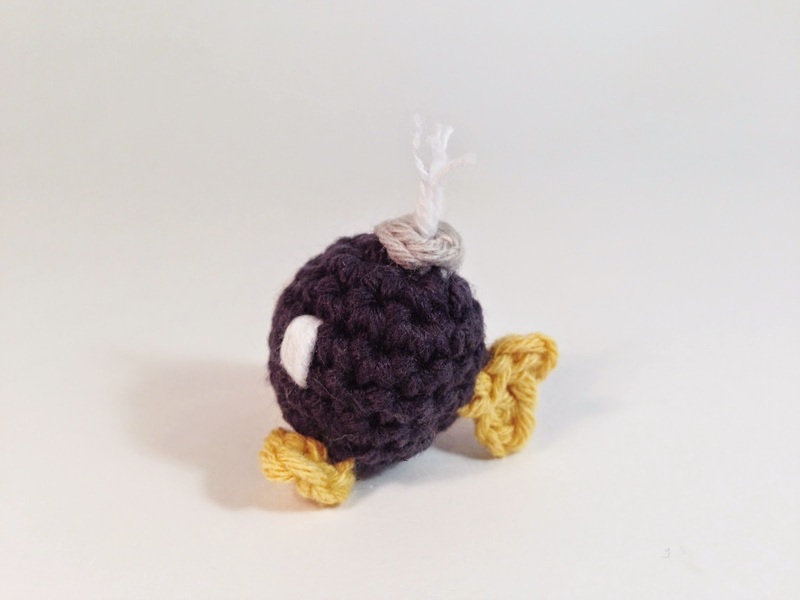 Oh, and check out the pattern for Mario, Luigi, Wario and Waluigi in my shop now for only 2.99! !